A modern Palace infused with the French spirit and just steps from the Champs-Élysées. Just steps from the Champs-Élysées, Le Royal Monceau - Raffles Paris has been transformed into a modern Palace infused with the French spirit. The exquisite rooms and suites are spacious sanctuaries of modern comfort. Throughout the hotel, the ambiance is enlivened by art and culture with a private Art Gallery, an art bookstore and an exclusive service of an Art Concierge. A state of the art screening room and an astonishing photography collection complete the show-stopping, dynamic feel. From the contemporary authenticity of French dishes to the celebration of Italian regional food, dining at Le Royal Monceau - Raffles Paris is truly memorable. Beating heart of the hotel, there is a colorful, chic and truly Parisian bar where one can enjoy great classics of luxury. 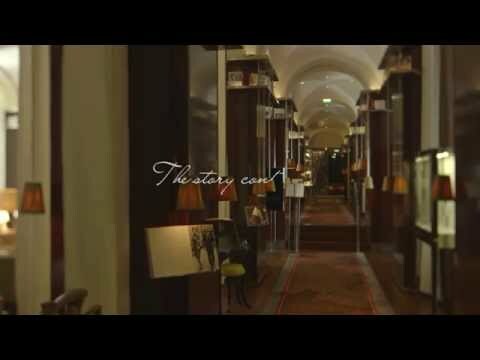 Le Royal Monceau - Raffles Paris is a pioneer in the domain of the arts offering the unique service of its own art concierge. Spa My Blend by Clarins, with he longest hotel pool in Paris, private coach, exclusive treatment room and VIP cabin, takes rejuvenation to another level. Three stunning Presidential Suites up to 350 sqm with private fitness and kitchen access.